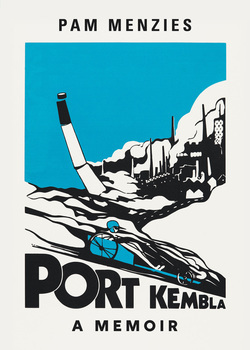 We are delighted to invite you to the launch of Pam Menzies' new book, Port Kembla: A Memoir. Pam Menzies will be launching her new and anticipated book at Berkelouw Books Paddington on Thursday, February 21st at 6.30pm. Port Kembla: A Memoir is the story of a steel town and its movers and shakers like the entrepreneurial Hoskins and Ted Roach, the wharfi es’ leader, who were part of Port Kembla’s rise to twentieth century industrial dominance. Pam Menzies follows three generations of her family, exploring lives lived in the shadow of the famous Steel Works, a busy Wentworth Street during its 1950s heyday, the waves of migrants who arrived seeking work, and the parallel lives of the Wadi Wadi, the original inhabitants. She considers the reasons behind the town’s decline and its prospects for a revitalised future. Pam Menzies spent the first 16 years of her life in Port Kembla. She now lives in Sydney and has previously published essays in magazines and anthologies, including ‘What took me so long?” in Women of a Certain Age (Fremantle Press, 2018). This is her first book. This event is free, though booking is required.